How to Convert Image to PDF? Looking for a simple way to convert your photos, scans, faxes and drawings into PDF documents? Then look no further than Advanced Scan to PDF Free. Our flexible and easy to use dedicated image to PDF conversion tool is specifically designed for home and professional users, making it quick and simple to convert image to PDF. With one-click simplicity, you’ll go from an image file to a fully searchable PDF. 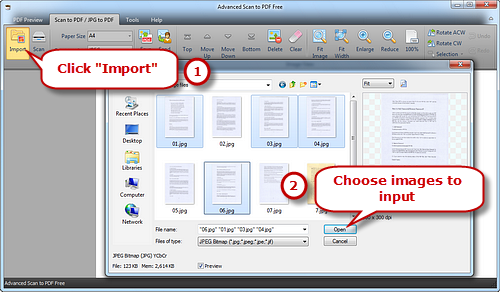 Launch Advanced Scan to PDF Free and click “Import” to choose the image file you want to convert. Press Ctrl or Shift key to select multiple image files. Click “Open” and the thumbnail of each added image will be displayed on the preview window. To arrange the file order, click “Top/Move Up/Move Down/Bottom” buttons or just select the file and drag it the place you want. Use “Delete” or “Clear” to remove the unwanted task. Click “Fit Image”, “Fit Width”, “Enlarge” and “Reduce” to adjust the image to the right size. If needed, click “Rotate ACW” or “Rotate CW” to correct it to the up-right position. Select Page SizeSelect Page Size (A0-6, B5, Letter (8.5″ × 11″), Legal (8.5″ × 14″), ledger (17″ × 11″)) and Compression (RLE, G3Fax, G4Fax, JPEG). Click“Save PDF” to choose the output folder and then “OK” to convert these images to PDF. 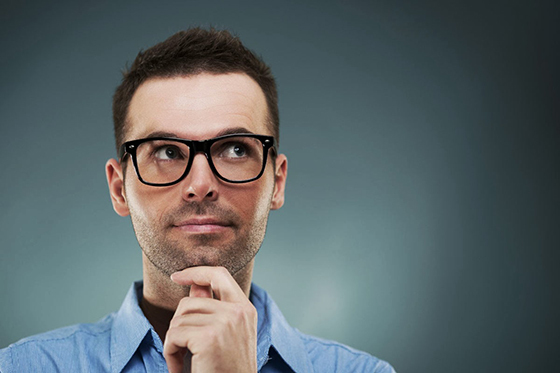 What to Consider When Choosing the Scan to PDF Software? 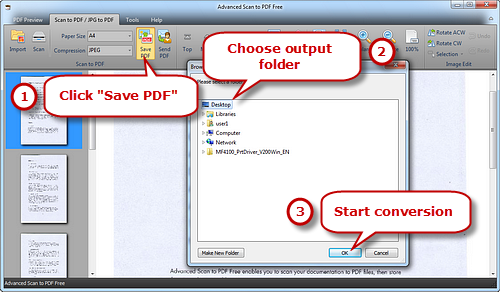 There are many things to take into consideration when deciding which scan to PDF converter software is just you need. First, it should be as intuitive as possible for both accessing and using. 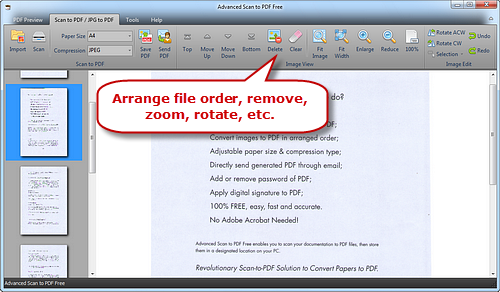 Second, it should support different file formats for PDF creation. The more formats it supports, the more versatility it offers. Third, the editing features are key for adjusting your file content. Last, it allows you to set control on the PDF file, for example, you can password protect it from viewing editing or even printing by others. All in all, Advanced Scan to PDF Free performs remarkably well in every aspect. Not only does this program offer an easy-to-navigate user interface, but it offers easy accessibility. 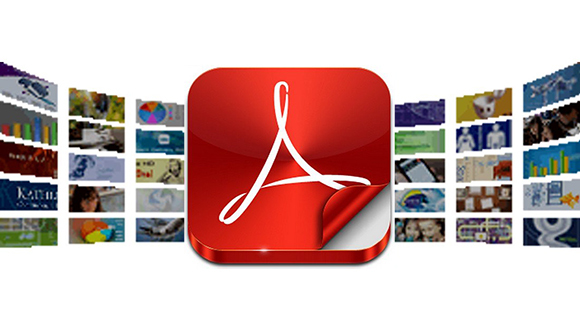 Users can simply download and launch this software and they are allowed to access their PDFs from anywhere. It has the ability to convert an array of file formats to PDF, edit the content of your documents, create custom forms and secure your files. That’s why you need to check out Advanced Scan to PDF Free which can best fit for your needs.